With the Boot Camp project, Tongji School of Software Engineering’s Apple Club and Android Club, School of Automotive Studies, School of Design and Ask Lab are looking to empower creative students to uncover the creative potential of China. You are welcome to make the automotive of the future more exciting, personal and sociable than ever before with your killer app idea! During Boot Camp we will teach you how to make this real. We make sure you meet the best teachers and mentors from the industry. In Europe and the US, various Automotive Apps are on the market already, serving all kinds of consumer needs. 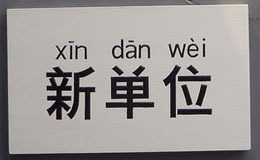 In China, this market is just emerging. We are calling on students from areas such as design, marketing and software engineering, to develop innovative, market-relevant and interesting App concepts. We are searching for cool App concepts which are meaningful and sustainable. We are looking for innovative App concepts that provide real value for the car user. We seek App concepts that have not been seen before or are being taken to a new level of development. We want new App concepts that enhance the user experience. A winning concept should be overwhelming in function, use-ability, emotion and beauty. The App should be intuitive, understandable and user friendly. It is important that the main function of the App is easy to reach and controllable. 1.) The Smartphone App: This is a car-related app which purely runs on a Smartphone only. You can use these Apps whether you are inside or outside of the car. 3.) The Onboard App: These kinds of Apps run only inside the car using the car multimedia interface. They cannot be used outside of the car. Apps of this category need to fulfill extremely high safety standards. Therefore, implementation, lead time and testing need far more time than a pure or hybrid Smartphone app. Contestants are free to suggest extraordinary Onboard Apps. But we are looking for more input in categories 1 and 2. A. Information Apps – provide car data, service oriented function, execution functions, personal log book etc. Service oriented functions enable Location Based Services that locate the car, provide local information, directions etc. Execution functions remotely control the car for services such as heating, door locks etc. Car data provide the costumer with information about the car service and usage such as fuel and oil gage, tire pressure etc. You will work in groups out of five students with the majors Marketing, Design and Software Engineering. 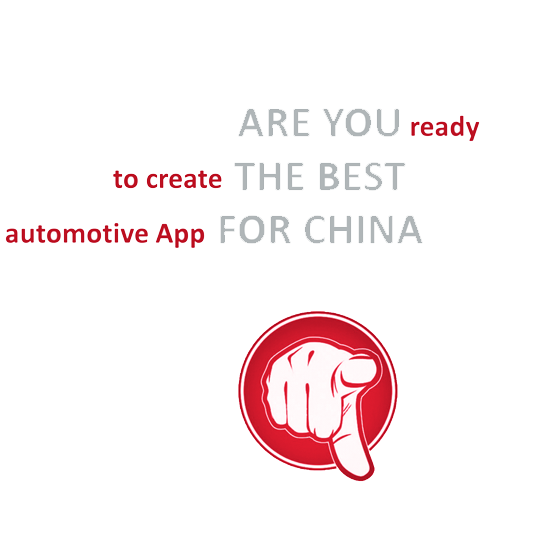 The best experts in town will support and teach each group, how to create incredible ideas and solutions to invent the best automotive App for China. We use the five steps of the new design thinking method, which has been developed by the Stanford d.school to understand the needs and behavior of a car user, define the problem you are going to solve, create new incredible App ideas, build quick prototypes and test them to get feedback and improve your solution in a very limited time. The top 5 students of the Boot Camp will be selected to move on to the next level and join the App Jam competition where the winning team of the Boot Camp and the three winning teams of the App Jam have the opportunity to get 25,000 RMB in cash to further develop their prototype into a presentable App within 3 weeks (20% of the prize money will be paid upfront, the rest being paid on the final delivery on July 5, 2013). There is also the potential of being paid with extra licensing fee for the final product. We are looking for both IDEAS and TALENTS. You can apply with an IDEA or explain your skills and expertise and why you have the best TALENT for this Boot Camp to support other’s ideas. Your idea can be presented in any design or choice of format. You can submit your idea/talent in the form of presentations, text documents, images or video files. We suggest a video not longer than 60 seconds. Who is the target group for your automotive App? What need does your automotive App fulfill (e.g. information, lifestyle, entertainment)? How does your automotive App work (function description/user scenario)? What hardware is necessary to use your automotive App (screen, camera, smart-phone, tablet etc.)? We are looking for skills in design, marketing and software engineering. Why do you want to participate in Boot Camp? What is your area of expertise and your major? What is your specific talent that you will bring to the Boot Camp? Apple Club of Tongji School of Software Engineering was founded 2006 and has a long record of of succesfully developing award winning Apps and launch them in Apple’s App Store. Android Club was founded later and is supported by Google. The institute is unique for China, and collaborates with most famous car brands and organisations in projects regarding customer insight, market requirements and the further development of China’s auto market. The school, historically evolved from the most famous Architecture School of whole China. It has vast experience on all fields of product design, service design and interaction design and collaborates with all kinds of famous brands and organisations.